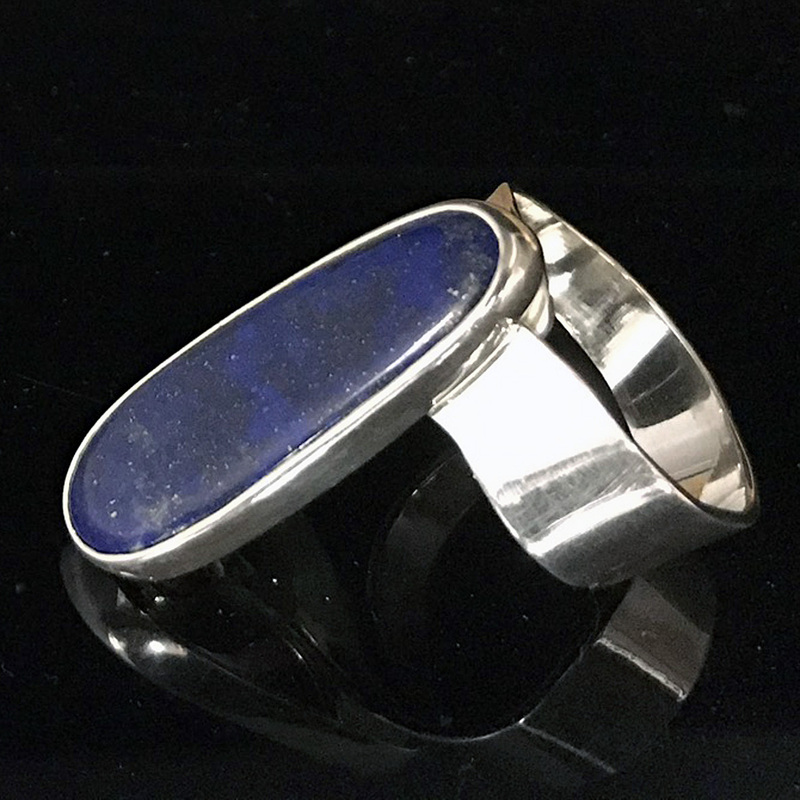 Modernist Jewelry - This is an original beautifully handcrafted sculptural sterling silver ring that features a long freeform royal blue Lapis cabochon (34.1mm x 12mm). This unique ring is meant to be worn low on the finger extended onto the top of the hand. 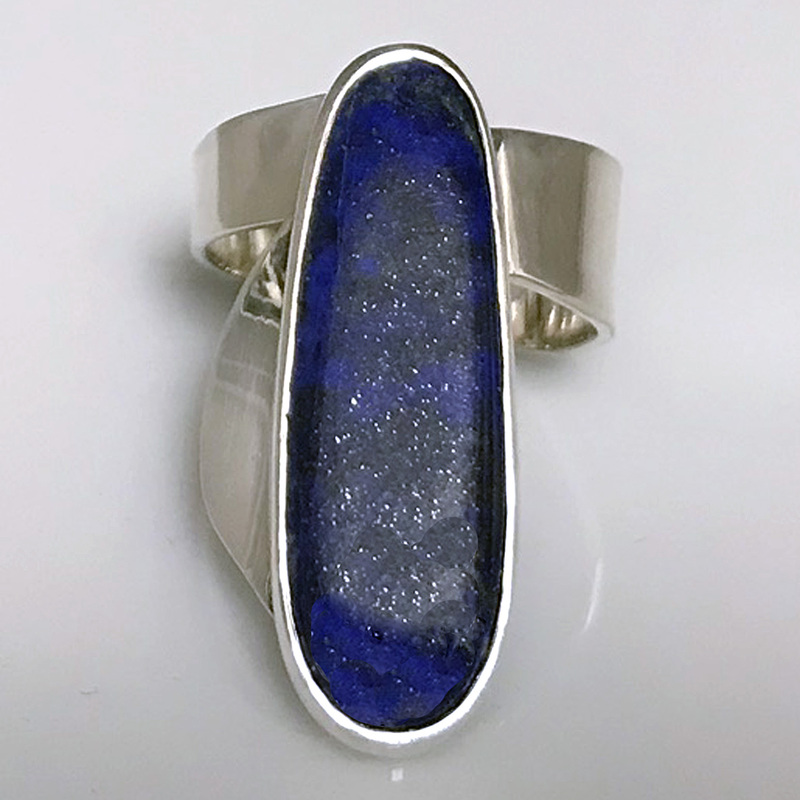 This is an original sculptural ring beautifully handcrafted featuring a freeform Lapis. 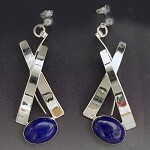 The Lapis is fully bezeled in sterling silver. 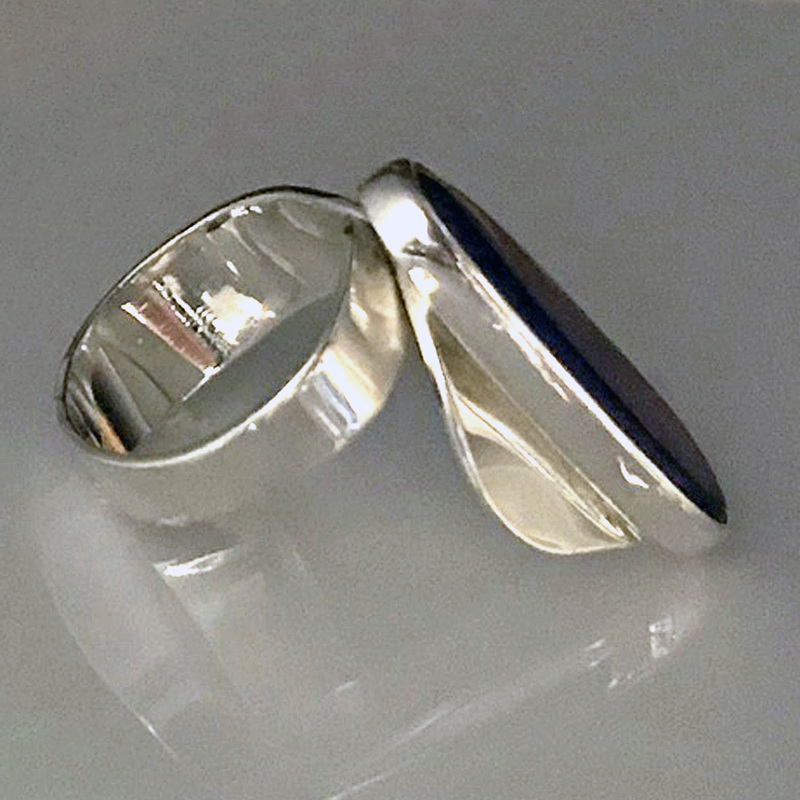 The unique ring has a wide shank in the back that is designed for comfort, but also helps the ring to stay in place and to not turn around. Because of the unique design, the shank is adjustable for easy sizing. This ring will make a statement on its own or as part of a set. The ring is designed to fit low on the finger towards the hand. This ring complements all of our jewelry collections. The Shank is .27" wide in the back. 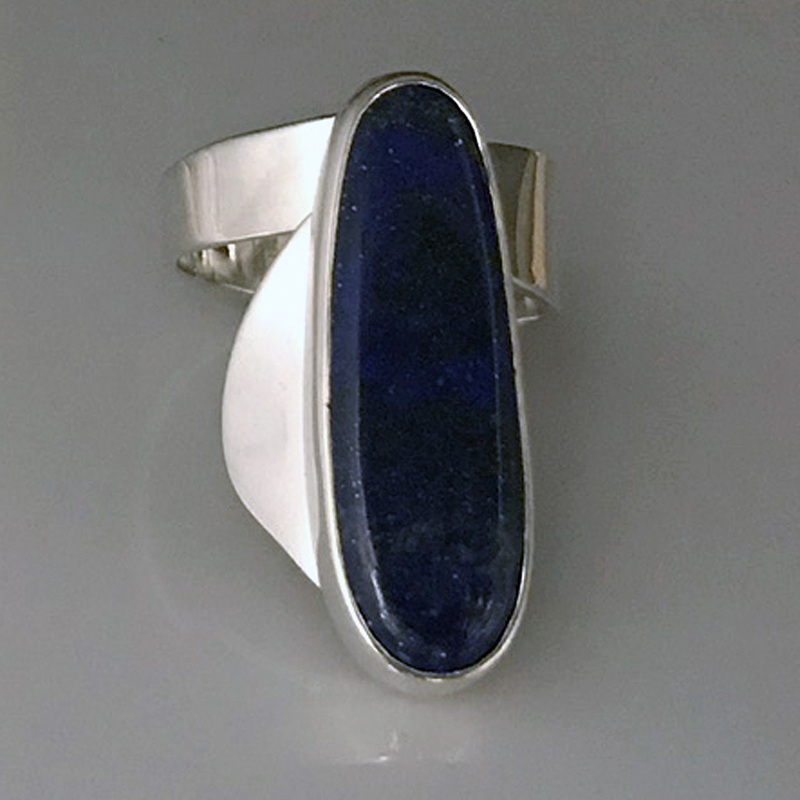 The Lapis is each approximately 1.3" long x .47" wide (34.1mm x 12mm). Lapis increases self awareness and creativity. It is believed to encourage compassion and give the wearer a better perspective on life.